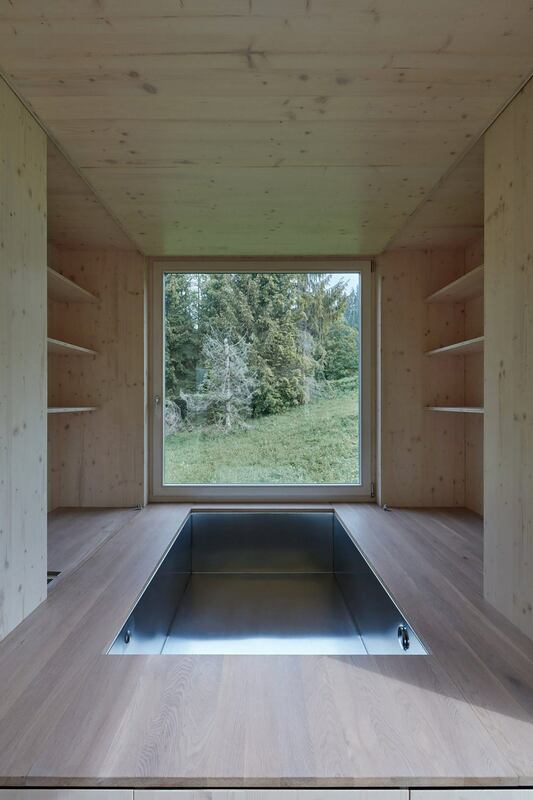 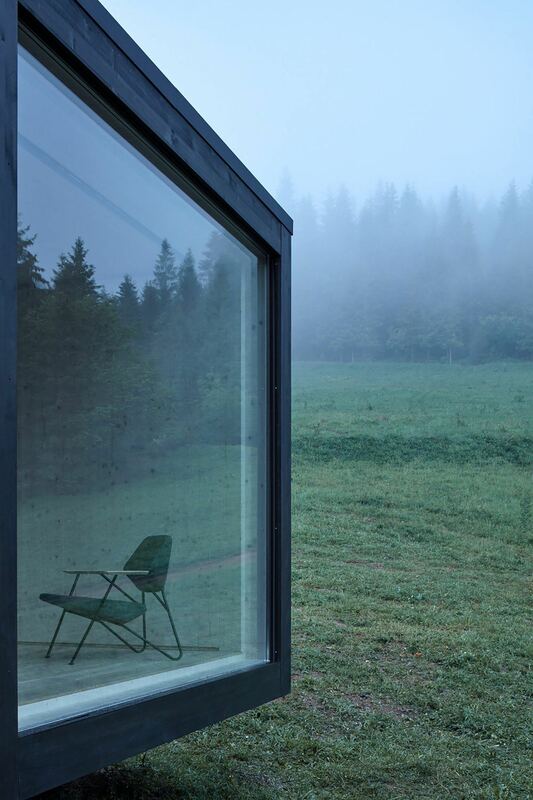 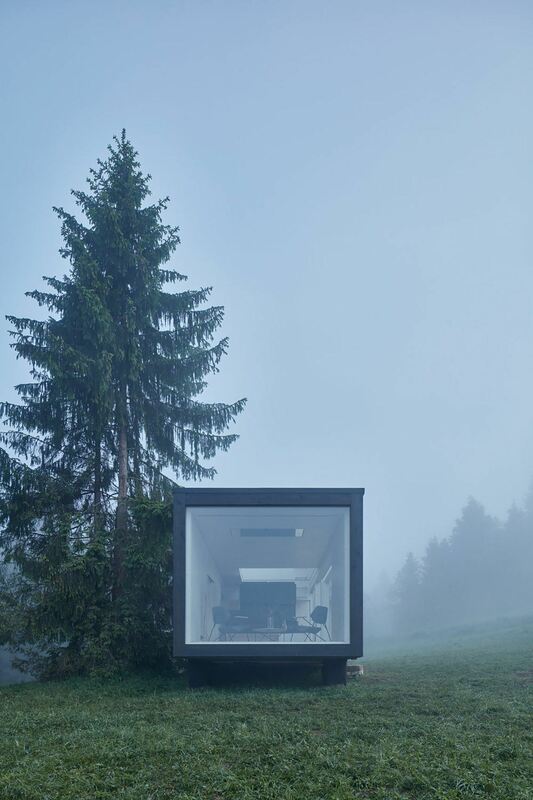 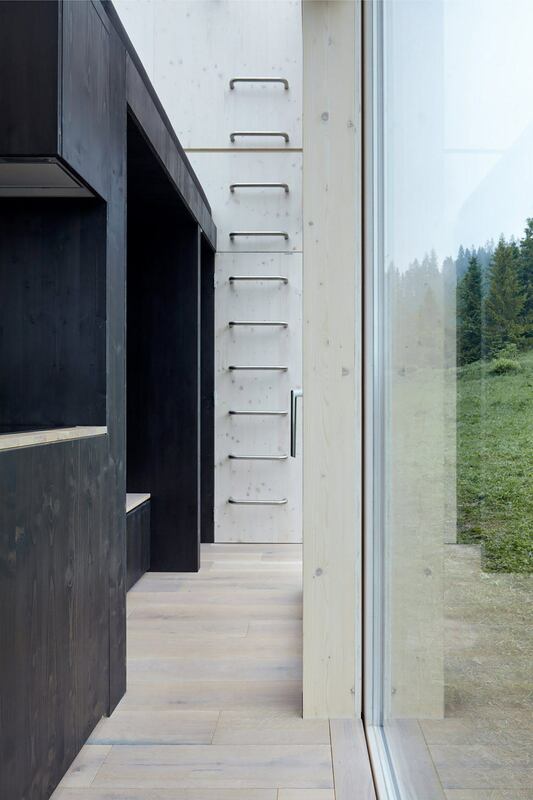 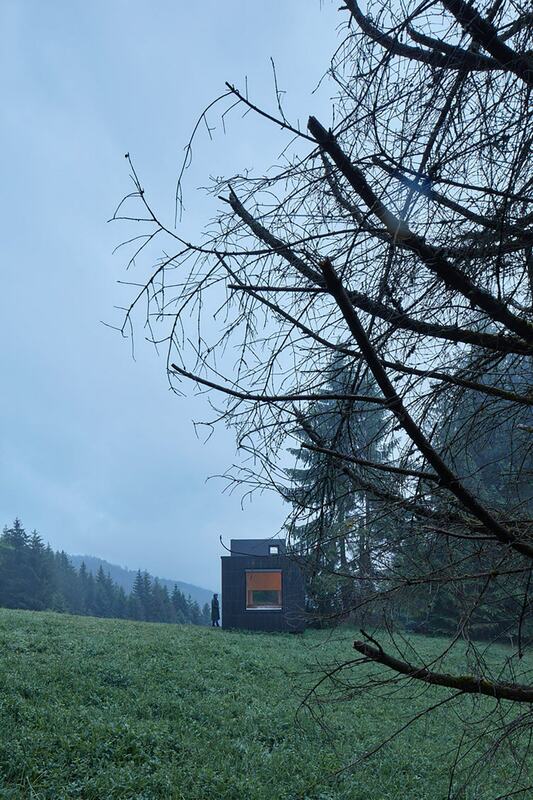 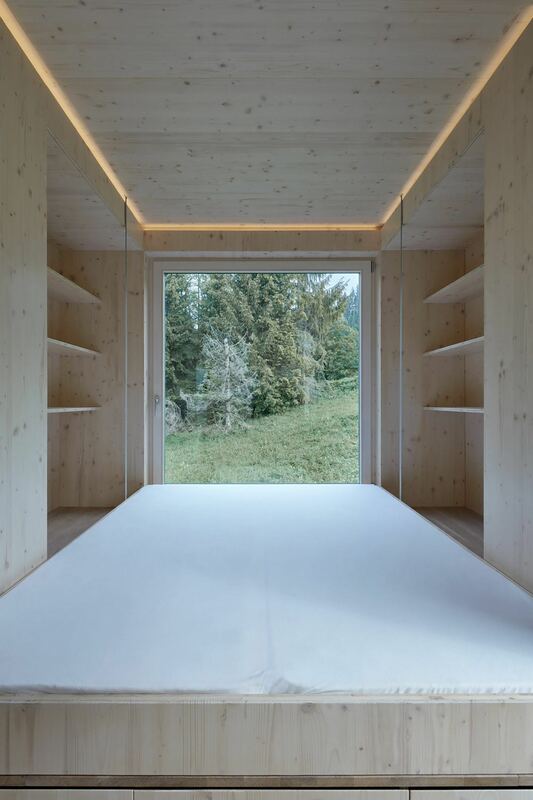 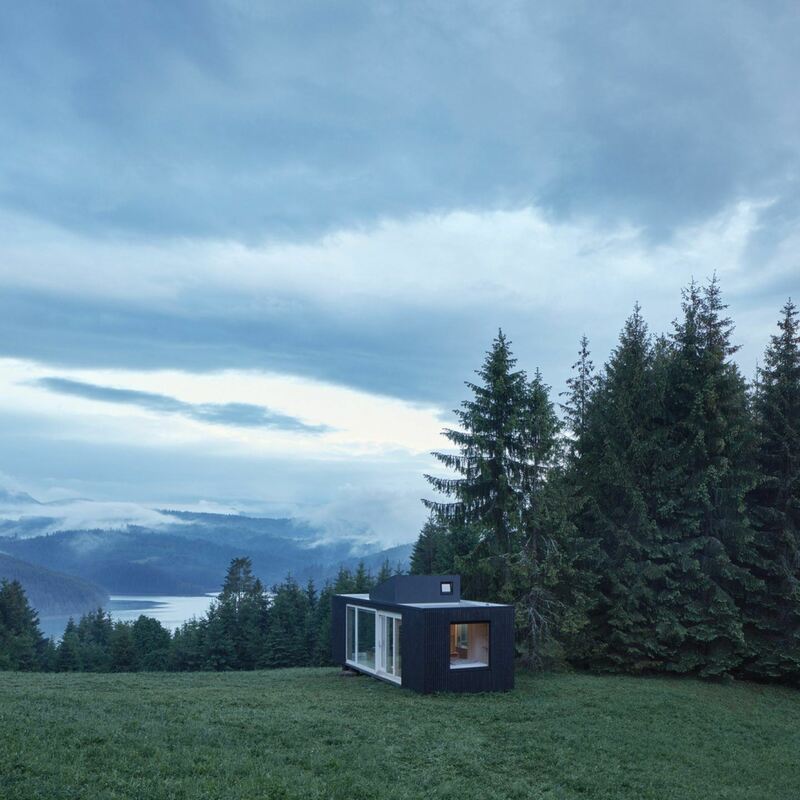 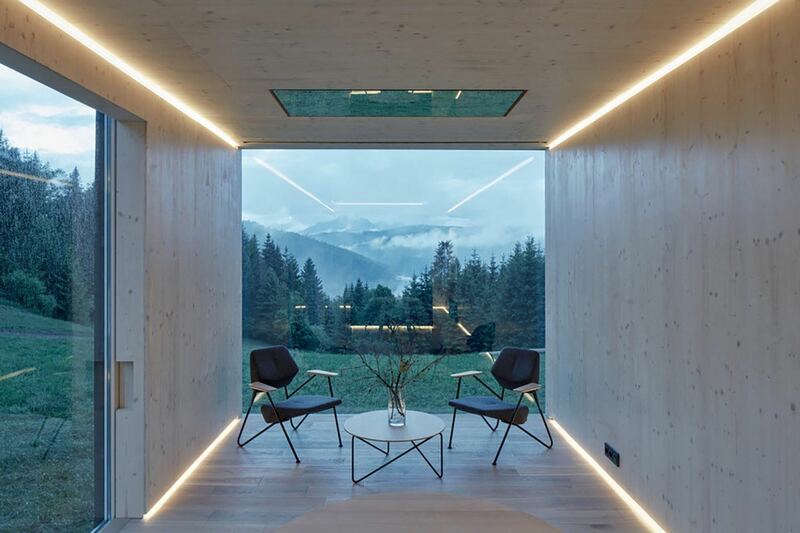 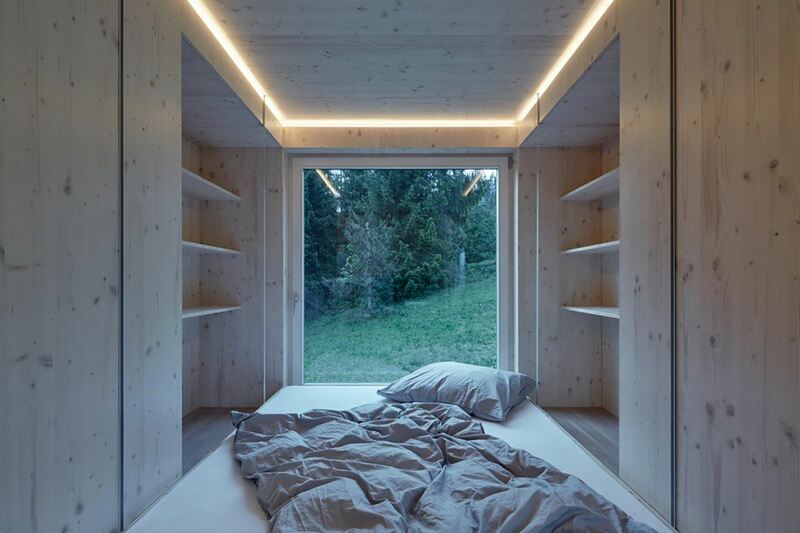 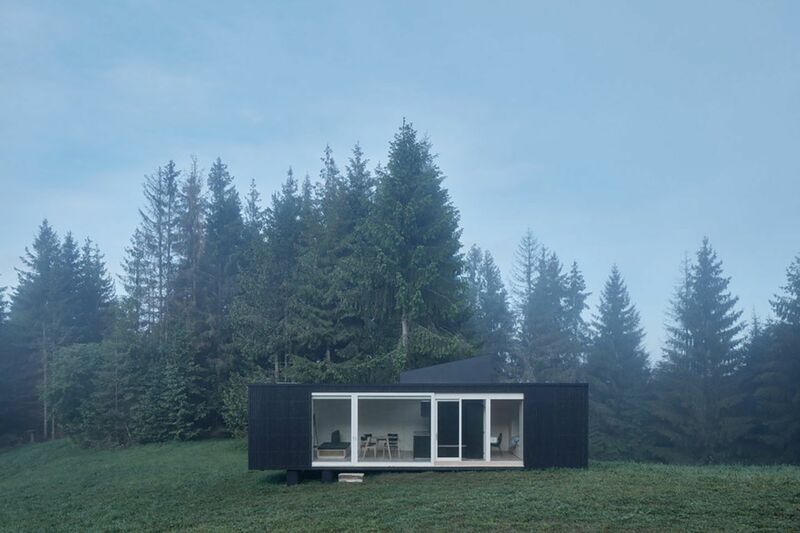 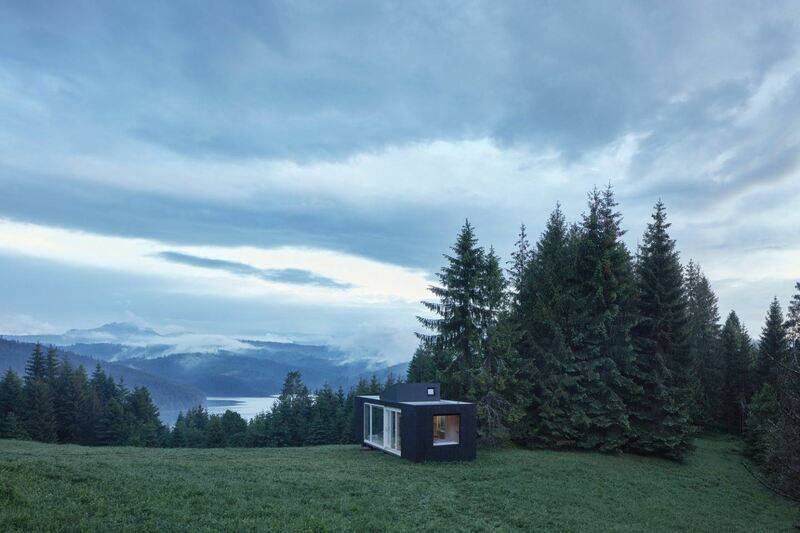 Ghent-based architecture studio Ark Shelter has just released their latest prefabricated construction: ‘Into The Wild’ is a minimalist dark wood cabin that opens to the outdoors and allows you to watch the stars from your bed. 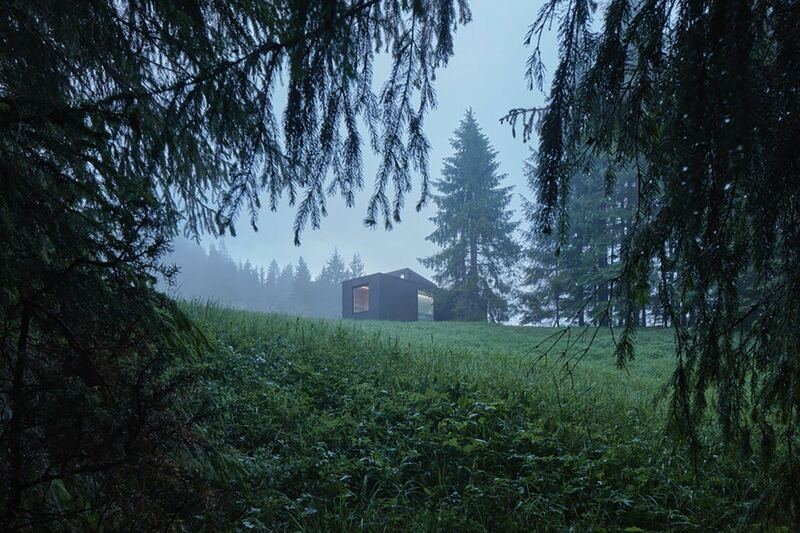 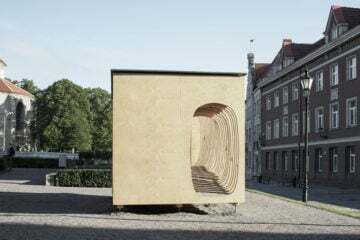 The premise behind Ark Shelter is a return to nature, and to basics—but without compromising on the things that make such escapes from life in the city comfortable. 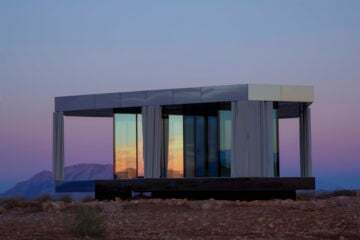 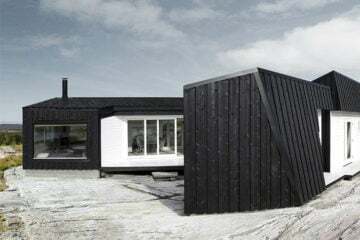 In their prefabricated collection, they have created a series of affordable off-grid, zero impact homes whose light-wood clad interiors feature clever hacks to ensure that you’re never without crucial—or in the case of the hot tub, not so crucial—amenities. 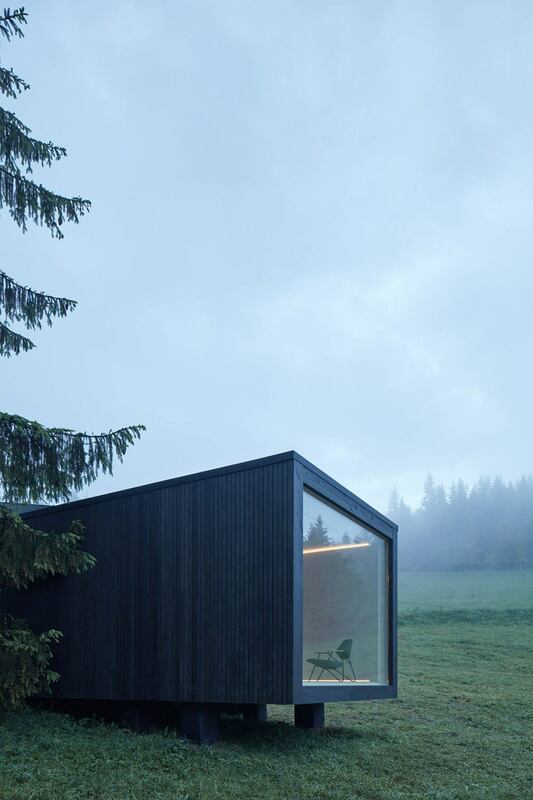 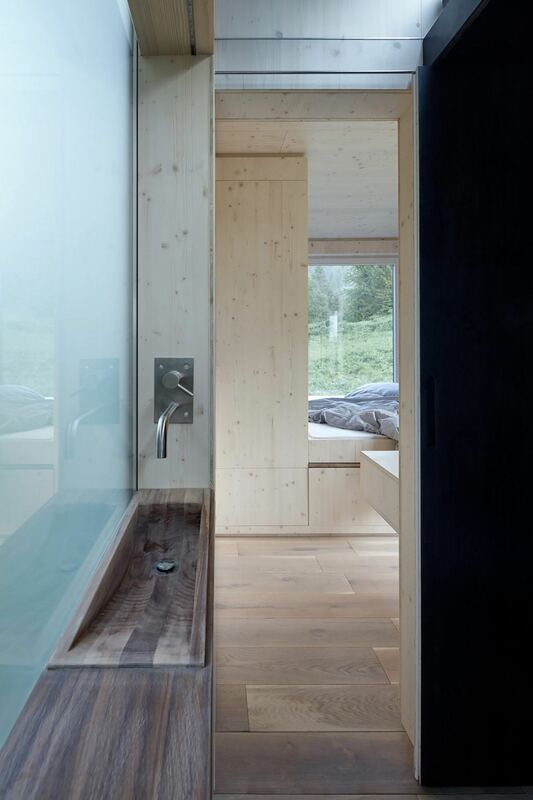 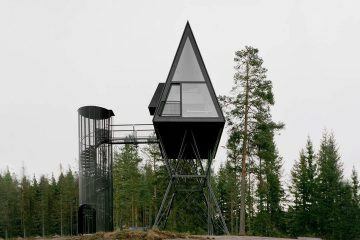 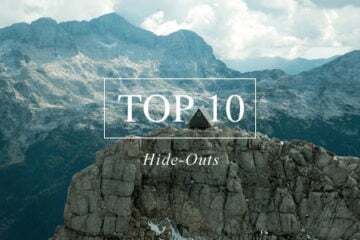 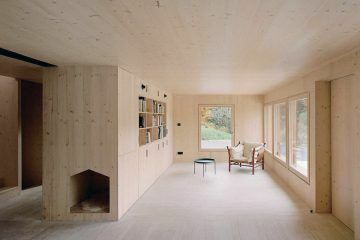 ‘Into The Wild’ draws from their previous cabins, and in 40-square-meters has created a space that is luxuriously understated and able to sleep four people. 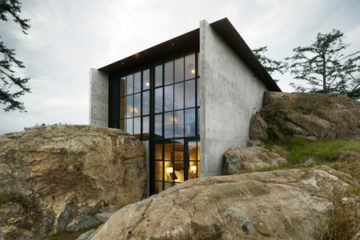 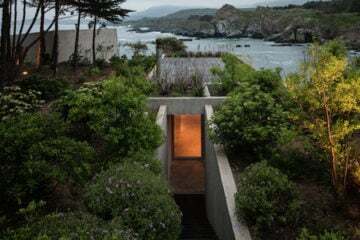 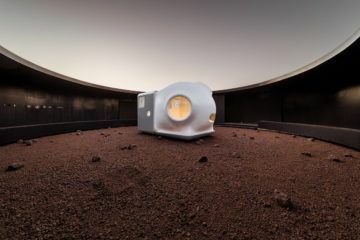 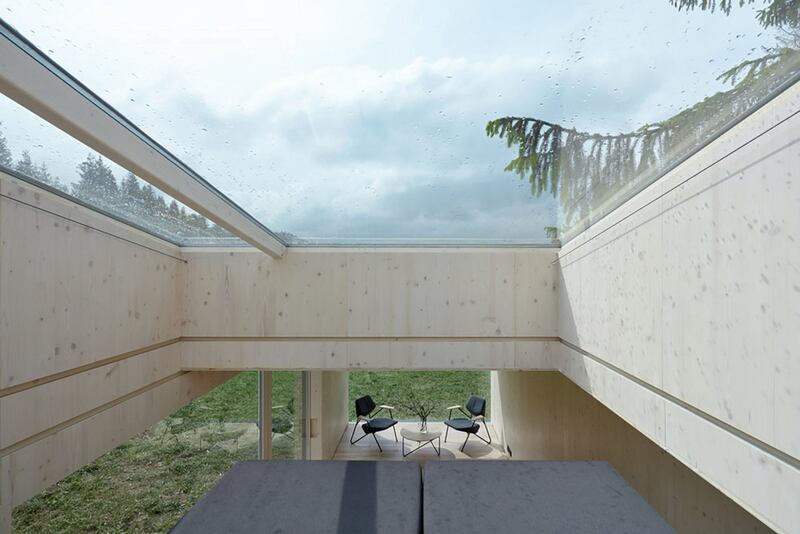 The space itself is split into five distinct sections by a central area; there is a living room, a bedroom (with sky views), bathroom, kitchen, and a second bedroom that features a hot tub integrated ingeniously beneath a pulley-bed that can be drawn down from the ceiling.